Significantly stronger than full or partial dentures, dental implants offer a secure and long-term solution to lost teeth. A major advantage of a dental implant is that the implant cannot decay. An implant-supported solution can be removed and cleaned yearly to maintain proper tissue health. Implants are appropriate for all medically healthy adult patients and were originally designed to correct problems with poor-fitting dentures. We now replace single teeth, larger spaces with implant-supported bridges and full upper or lower replacements with fixed bridges or ideas to stabilize your denture. Whether your missing tooth is the result of periodontitis, tooth decay or an injury, we want to help restore your smile with a beautiful new dental implant that looks and functions just like a real tooth. This common procedure is designed to fill unsightly gaps and maintain the structural integrity of the mouth. When you visit our dental clinic in the heart of Scarborough, you’ll be treated with the same nurturing care and professionalism that’s kept our patients coming back for more than 30 years. Our process begins with a thorough and compassionate consultation to determine whether dental implants are right for you. On your next visit following consultations and x-rays, an experienced Periodontist or Oral Surgeon will place a titanium root form into the jaw to serve as a permanent artificial root. It can take several months for your bone to properly grow into the implant, so we’ll provide you with a temporary tooth until the last step. During the healing process we customize a permanent tooth replacement to fit your dental implant. When you come back to our office we’ll make sure the new artificial tooth integrates seamlessly into your mouth. Have questions? Call us today to schedule a consultation.  We’ll walk you through the dental implant process and address any questions or concerns you might have.